TechStartupJobs is a partner of the TechMeetups family. TechStartupJobs is an job-board for everyone from start-ups, agencies/consultancies, SMB/SMEs to large organisations to post their opportunities be it a permanent/freelance/intern role!! Start-ups can post opportunities to attract partners/co-founders too. It has been created to address the huge demand for Tech talent within all our Tech communities and bring together employers and Tech personnel! Job postings are pushed through our media/marketing channels (Facebook, Twitter, Badoo etc), our blogs, our Tech communities, weekly newsletters and partner universities. Chances are that your job posting may be seen by a member of our global community who is not actively seeking work or on any of the traditional job sites and help you fulfil that requirement. 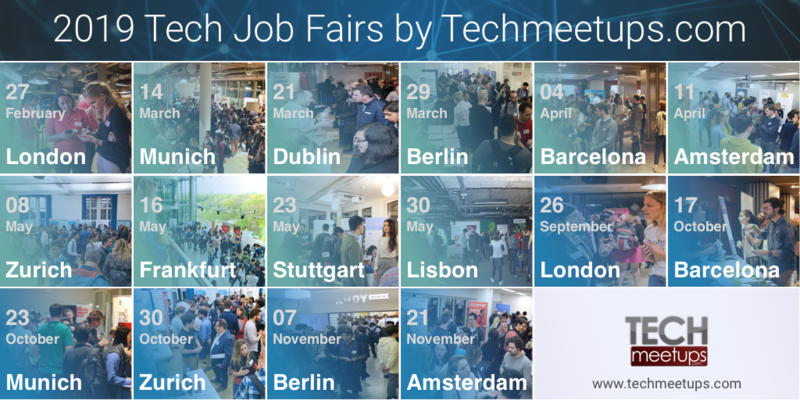 We hold 10 annual job fairs, the TechStartupJobsFair, which offers clients the chance to participate and attract future recruits/interns and immediately available job-seekers. We ensure members of our community are made aware of such events first because we like to look after our own! TechMeetups has been setup to create a global network of Tech communities from San Francisco to Sydney. We believe that Tech communities are isolated and great things can be achieved if we connect within our cities and outside our borders. Our goal is to create a global Tech cluster of over 50 inter-connected Tech communities by 2013. Anyone thinking about doing their own Start-up and wanting to bounce ideas off each other, meet potential partners or investors in their city or even connect with like-minded individuals in other parts of the world are welcome to join our groups! TechMeetups is all about YOU so come along, join us and let’s connect to form a truly global Tech community! We are close to our community and strive to help everyone with their main challenges. For those looking to find support with their Tech projects, we have TechSoftwareMarket. For companies looking to find new customers and early adopters, TechStartupDeals will help you reach all the members of our global community with your product. If you’re looking to expand to another location, then visit TechStartHub. We started by launching the first community in London, in December 2010 and since then it has become one of the fastest growing Tech communities. Following the success in London we launched in Cambridge and then expanded overseas to the US starting in New York, Dallas & Miami. Continuing with our expansion in Europe we launched in Berlin, Copenhagen, Lisbon, Manchester & Paris. In Asia we are present in Bangalore, Bangkok, Dubai, Mumbai & Singapore. And we also have a group in Cape Town!